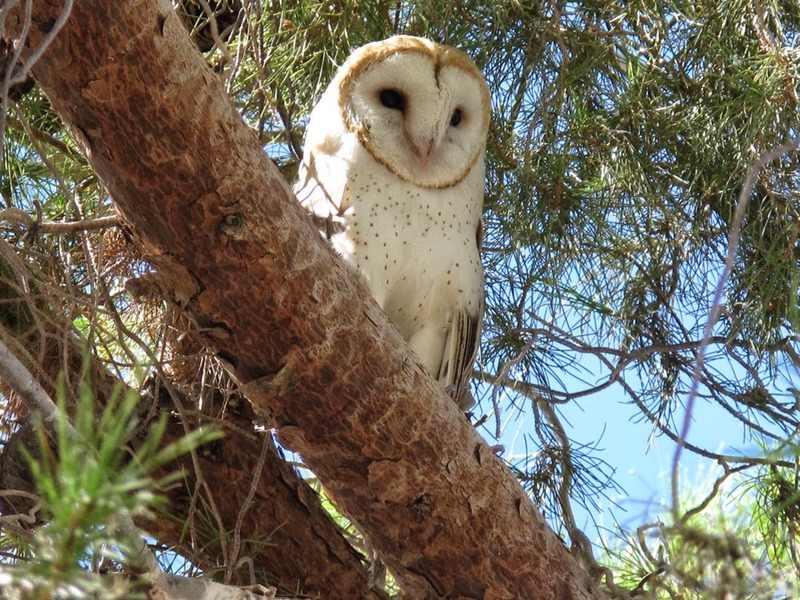 Barn Owl - California City, Kern Co., CA. September 17th, 2013. 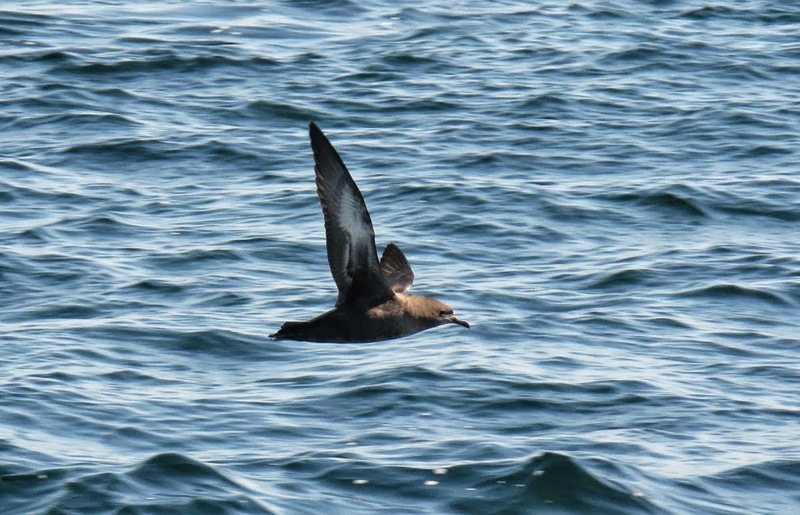 Sooty Shearwater - Monterey Bay, Monterey Co., CA. September 12th, 2013. Pink-footed Shearwater - Monterey Bay, Monterey Co., CA. September 12th, 2013. 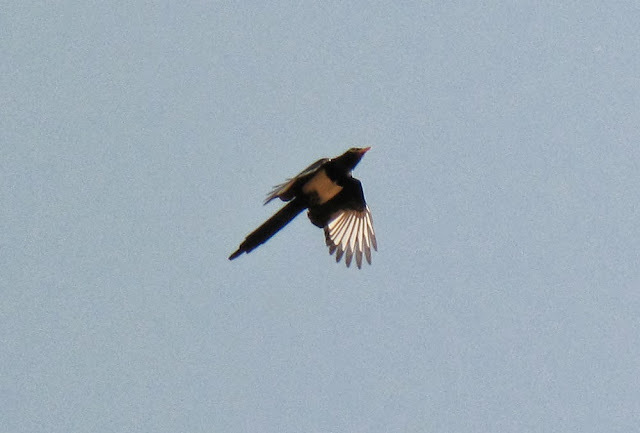 Yellow-billed Magpie - Solvang, Santa Barbara Co., CA. September 12th, 2013. 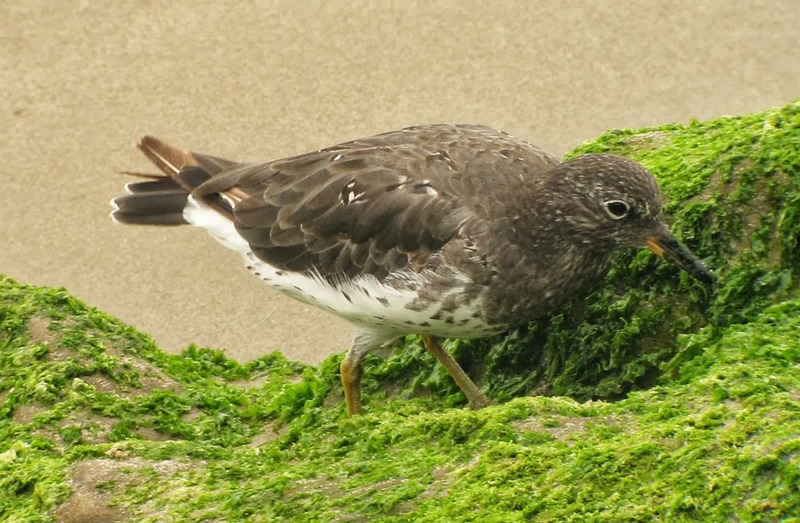 Surfbird - Ventura Harbor, Ventura Co., CA. September 9th, 2013. 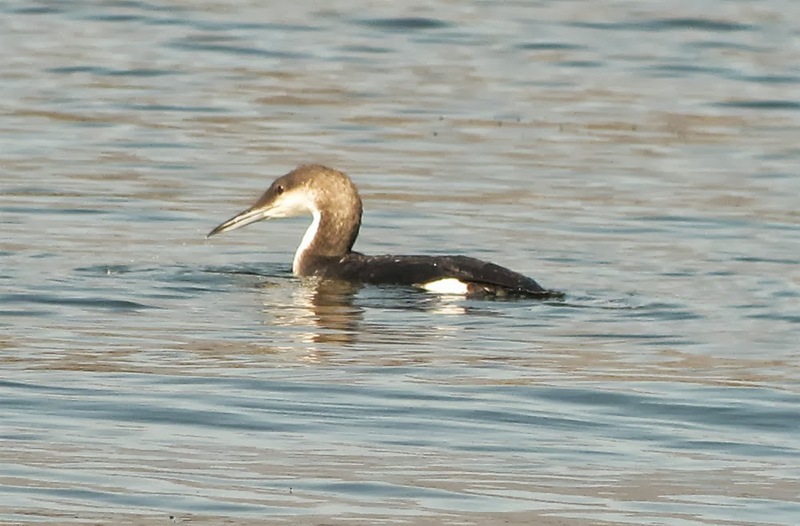 Arctic Loon - Bonelli Regional Park, Los Angeles Co., California. 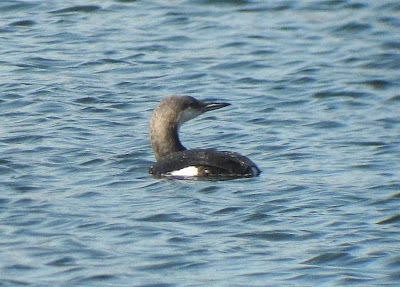 gave us the best views of any loon that we had on the entire tour. 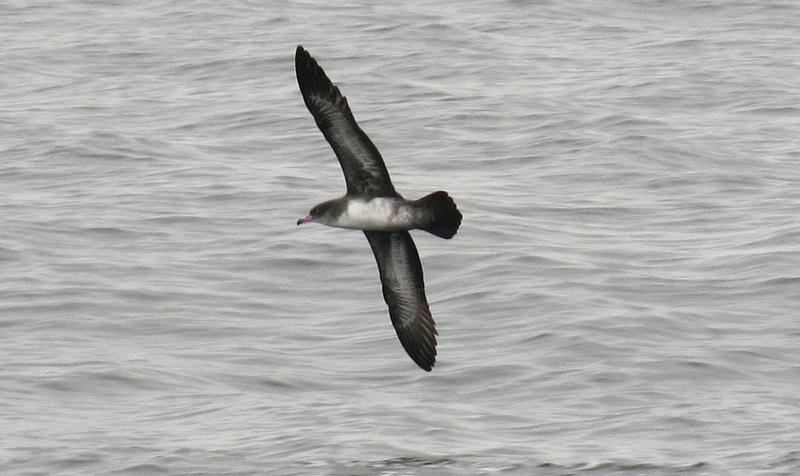 I doubt if we'll be able to repeat this on future trips! 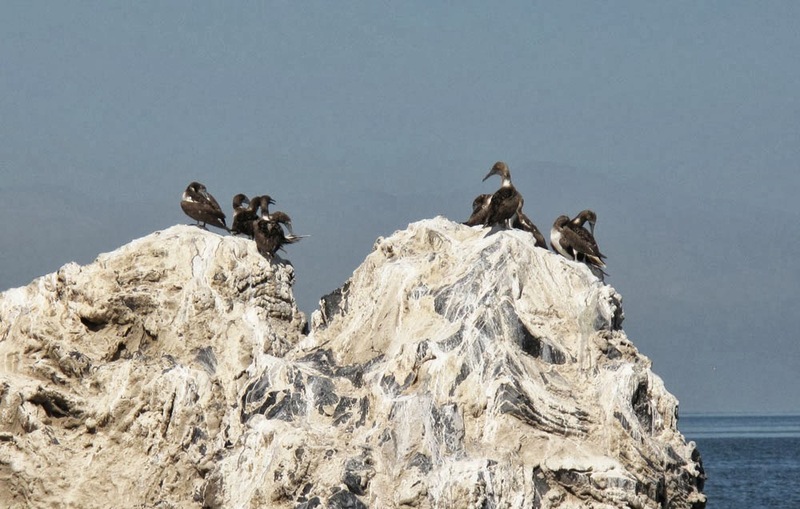 Blue-footed Boobies - Obsidian Butte, Salton Sea, Imperial Co., California. September 19th, 2013. 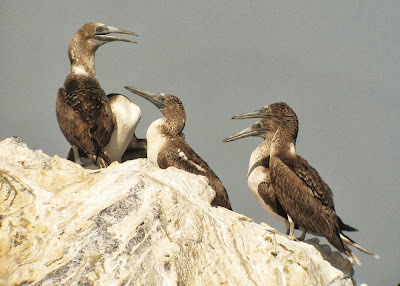 Part of a group of 15 present during our visit. 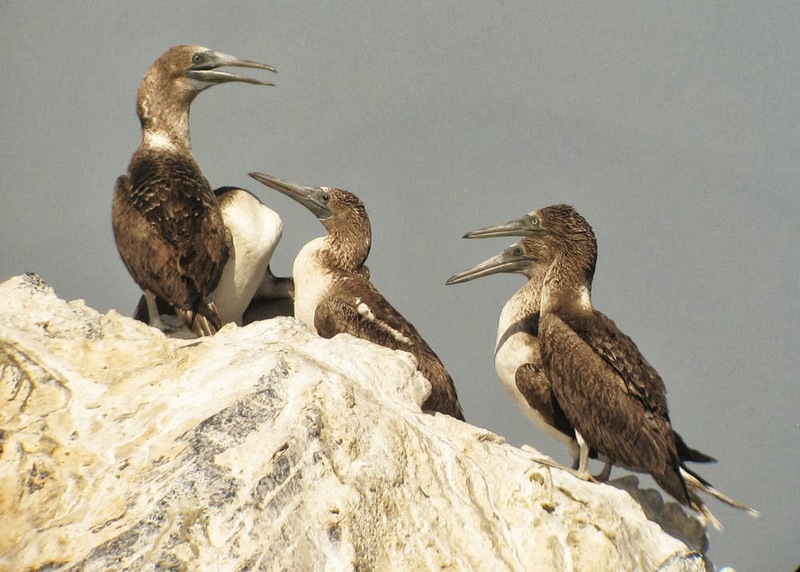 Blue-footed Booby - Lake Skinner County Park, Riverside Co., California. September 18th, 2013. 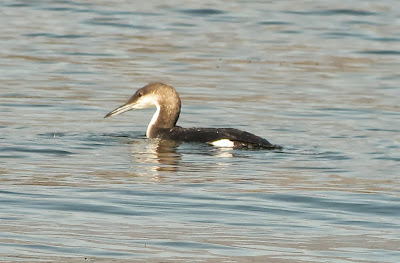 One of four present n the day we visited. 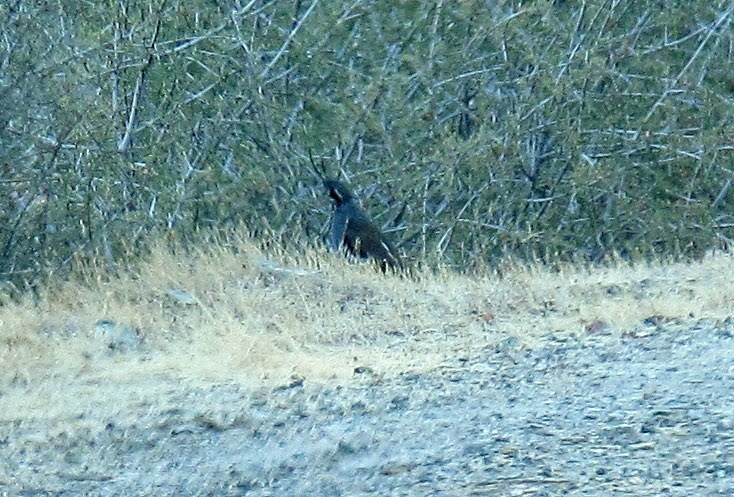 Mountain Quail - male, Bagby Recreation area, Mariposa Co., California. on Route 49 as we left Mariposa for the long drive around the Rim fire. 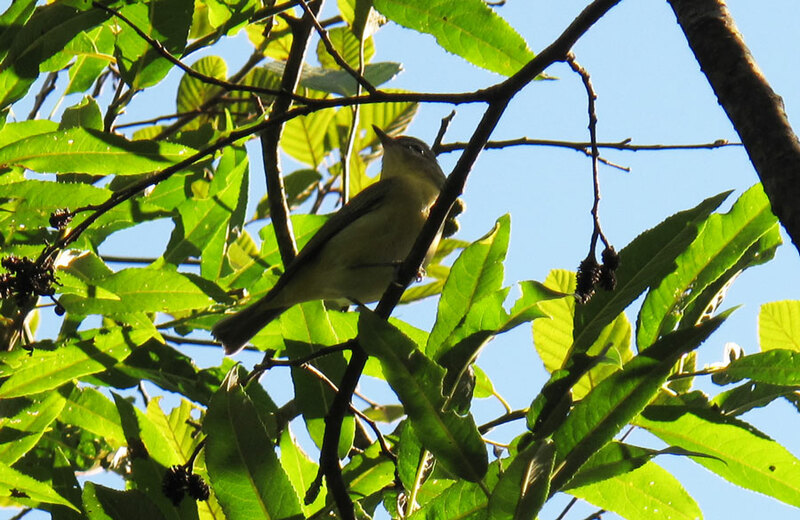 Yellow-green Vireo - Fort Rosecrans National Cemetery, San Diego Co., California. September 21st, 2013. I found this bird hard enough to see let alone photograph. all of our group managed to get reasonable views. Thanks to Gay Nunn for the find and for getting the news out in such a timely manner. 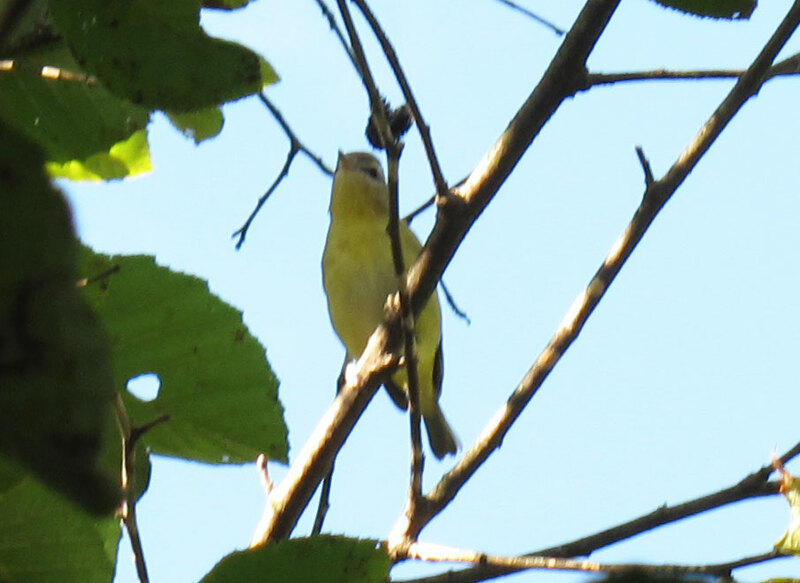 After my post concerning a Yellow-bellied Flycatcher in our yard this morning, I wasn't expecting the need for a second post today. But late this afternoon there was a very nice 'surge' of migrants, again our in yard on Main Road, Gill, these being highlighted to by two Philadelphia Vireos as well as a couple of Red-eyed Vireos and a singing Warbling Vireo. 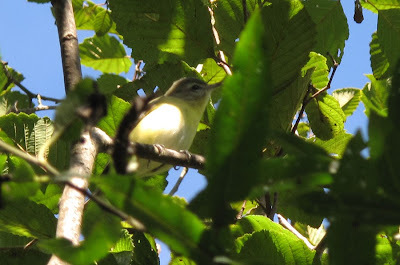 The Philly Vireos were both typically active behaving much like kinglets with frequent hovering. 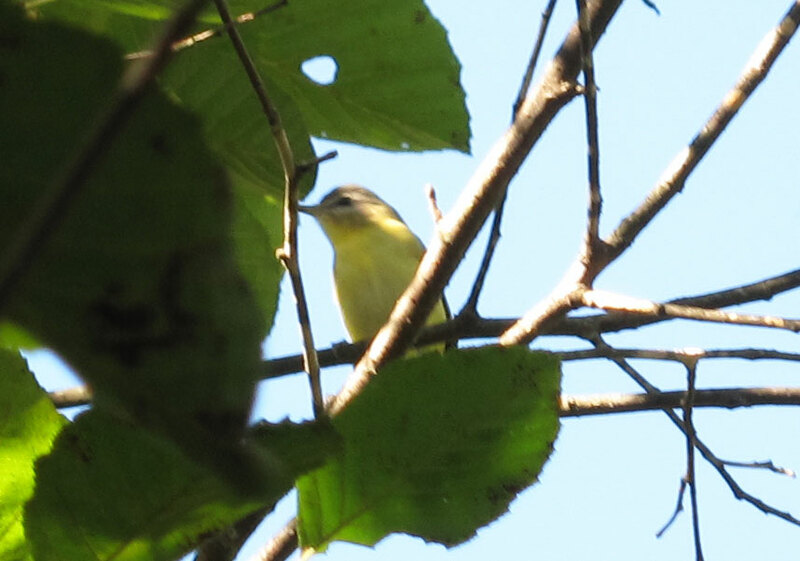 One was rather drab with most of the yellow on the throat and upper breast and the other very bright with a stronger yellow suffusion on the whole of underparts. Two rather sluggish Red-eyed Vireos provided a nice, close comparison. Philadelphia Vireos - Gill yard, Franklin Co., MA. September 6th, 2013. Flycatcher activity improved from the morning with a couple of Least Flycatchers, the continuing Willow/Alder Flycatcher, a juvenile Eastern Phoebe and an Eastern Wood Pewee. 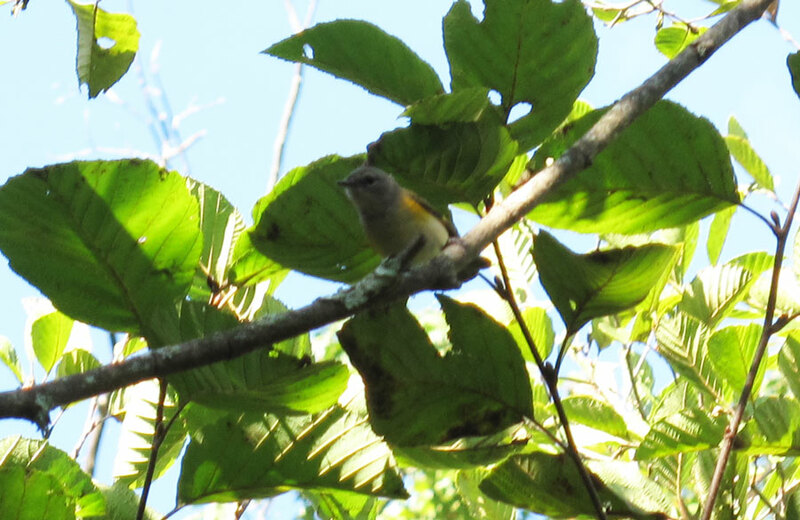 Warblers included 3 American Redstarts and a surprise male Black-throated Blue Warbler, a species which we've seen just a couple of times in the yard to date, and a smart Chestnut-sided Warbler. 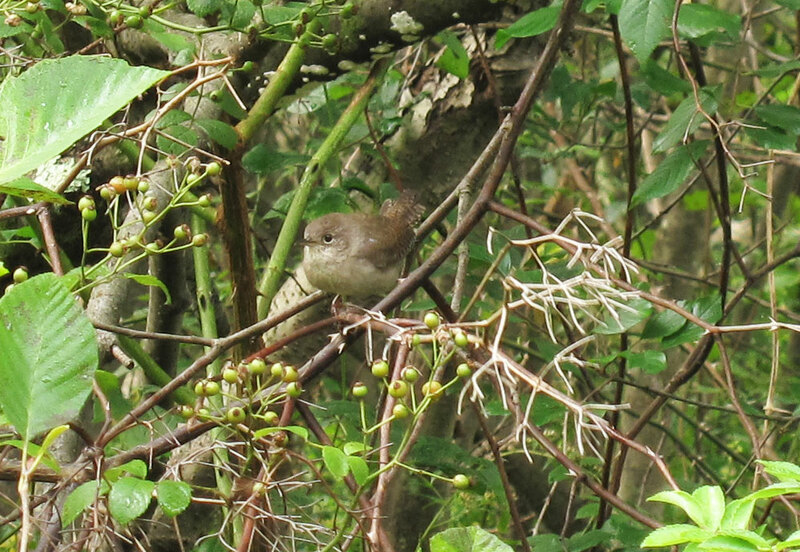 Veery and Hermit Thrush also appeared simultaneously. 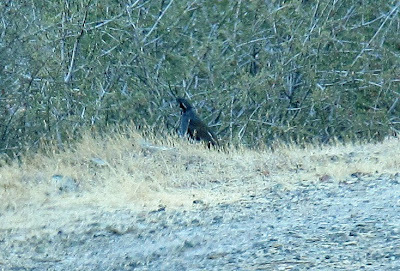 Earlier in the afternoon, a reasonably large wave of about 65 Common Grackles 'swept' through the yard, only staying for about five minutes. 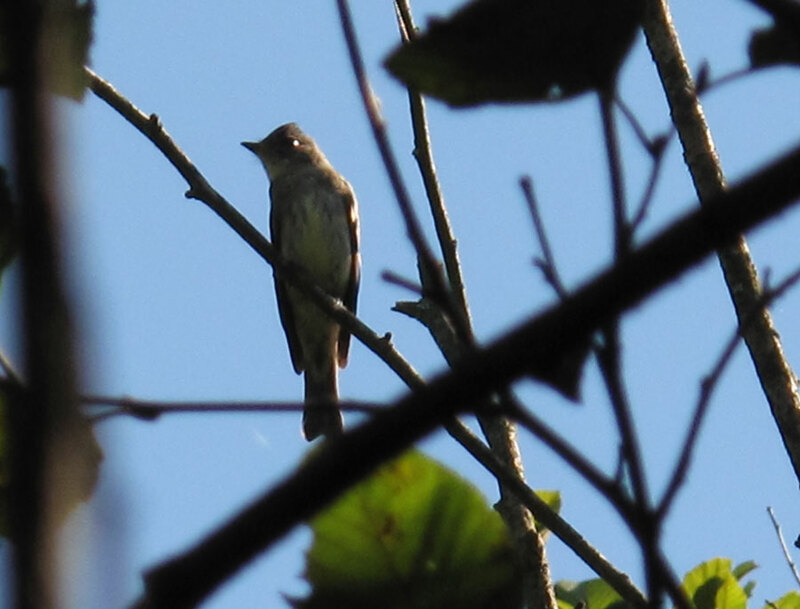 Eastern Wood Pewee - Gill yard, Franklin Co., MA. September 6th, 2013. American Redstart - Gill yard, Franklin Co., MA. September 6th, 2013. This morning (09/06) brought a welcome change to Gill with a much cooler start than of late. 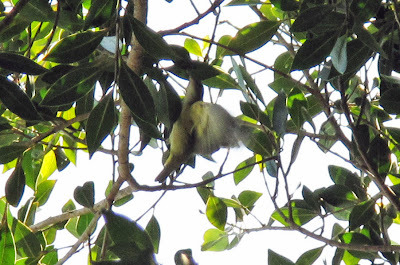 At 8am temperatures still hadn't risen above 40 deg F providing a refreshing change after seemingly endless weeks of humidity. 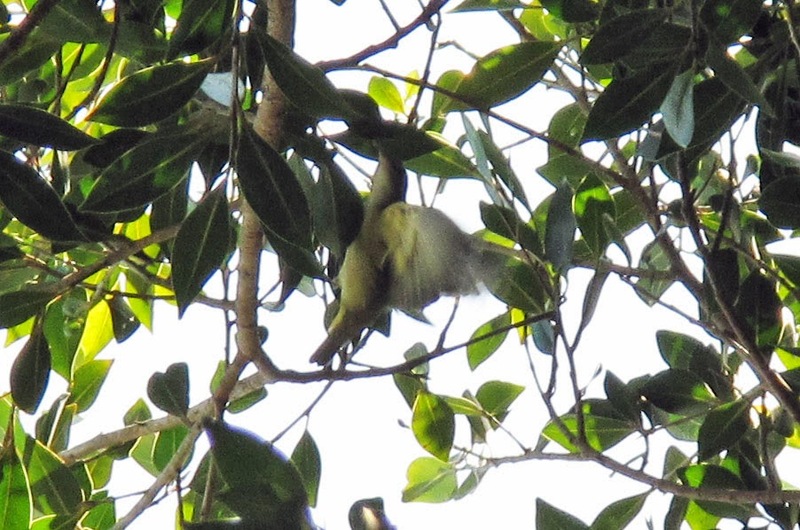 The weather also brought some 'refreshing' birds to our yard in Gill, most notably a calling Yellow-bellied Flycatcher which vocalized for about 10 minutes around 8am - a new yard bird for us. 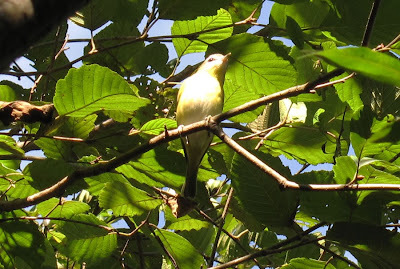 Around 9am an Evening Grosbeak spent some time calling from the tall Sugar Maples above the house before moving on. For my money, this remains an extremely scarce and aloof species in our area, and I think this was just the third observation in our yard since September 2010. 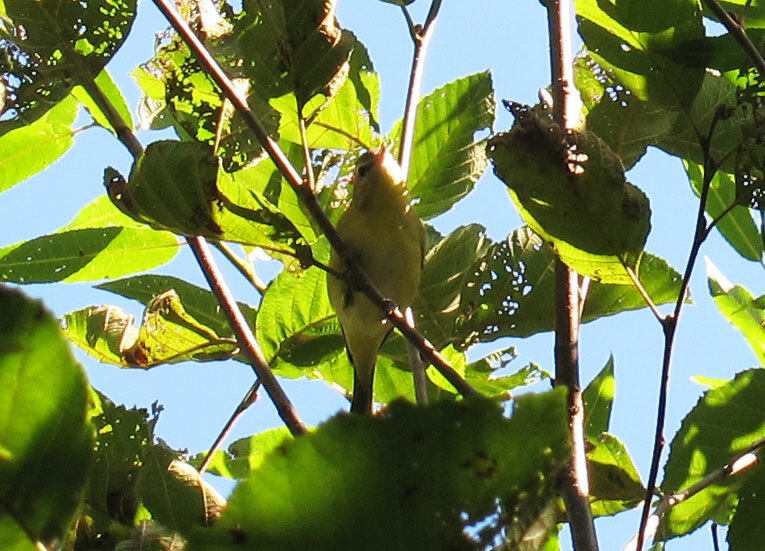 The morning also produced the first House Wren in a while along with regulars such as Gray Catbirds (6), Common Yellowthroat (3), Ruby-throated Hummingbird (1) and a Willow/Alder Flycatcher. 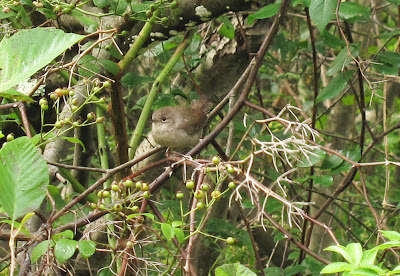 House Wren - Gill yard, Franklin Co., MA. September 6th, 2013. In the general area, vireos continue to sing and yesterday (09/05) I once again the heard the long staying Yellow-throated Vireo singing close to the intersection of Main and South Cross Road in Gill. 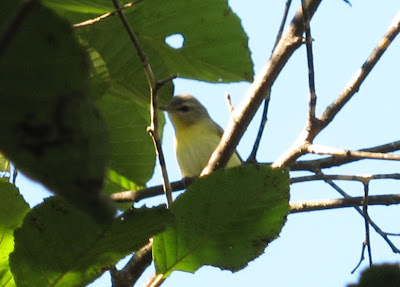 There was also Yellow-throated Vireo singing along the Connecticut River in Northfield on September 2nd, just north of the Rt 10 bridge where there was also a singing Warbling Vireo, and there was a singing Warbling Vireo in our yard on September 3rd. 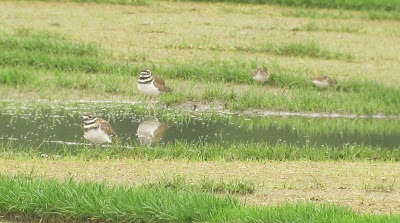 Fairly major overnight thunderstorms on September 2nd inspired a visit to the sod fields in Northfield on Pine Meadow Road which this time produced a handful of newly arrived shorebirds including 9 Killdeer, 2 Semi-palmated Plovers and about 5 Least Sandpipers. 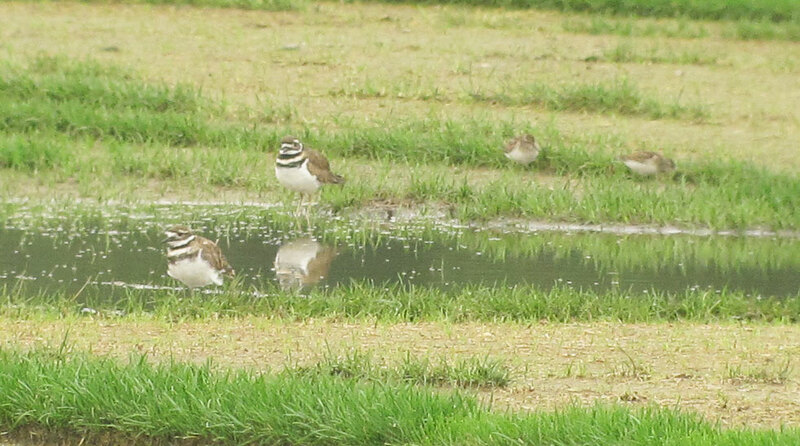 In mid-morning, the Killdeers and Least Sandpipers just picked up and left for no obvious reason leaving the Semi-palmated Plovers behind. Killdeers and Least Sandpipers - Four Star Farms, Northfield, Franklin Co., MA. 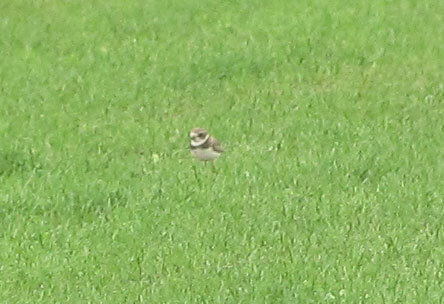 Semi-palmated Plover - One of two, Four Star Farms, Northfield, Franklin Co., MA. 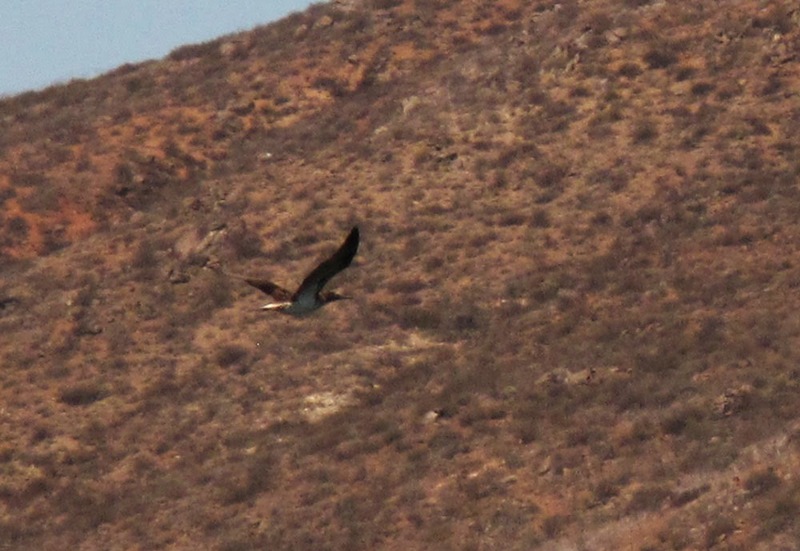 September 2nd, 2013. Distant digi-scope shot.